Is Ted Cruz Allowed To Run Since He Was Born In Canada? : It's All Politics Texas Sen. Ted Cruz became the first major candidate to declare for president, but some question whether he's eligible since he was born in Canada. Legal scholars, though, believe he can. 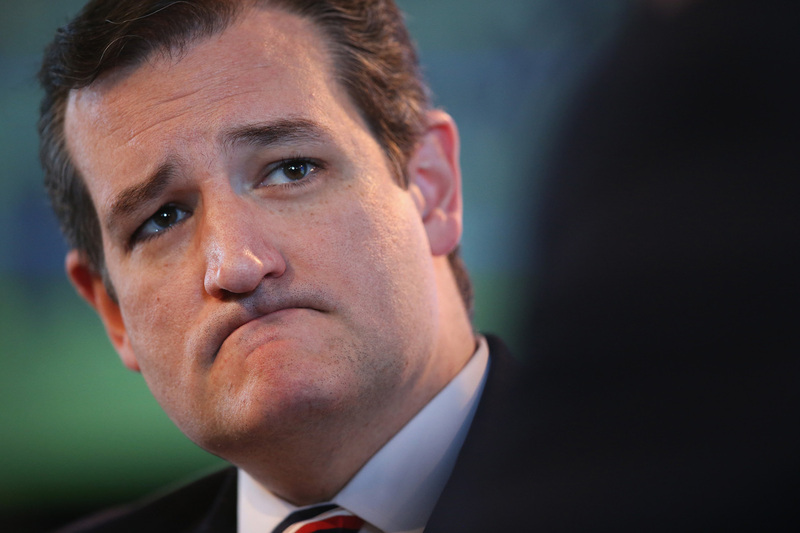 Is Ted Cruz Allowed To Run Since He Was Born In Canada? 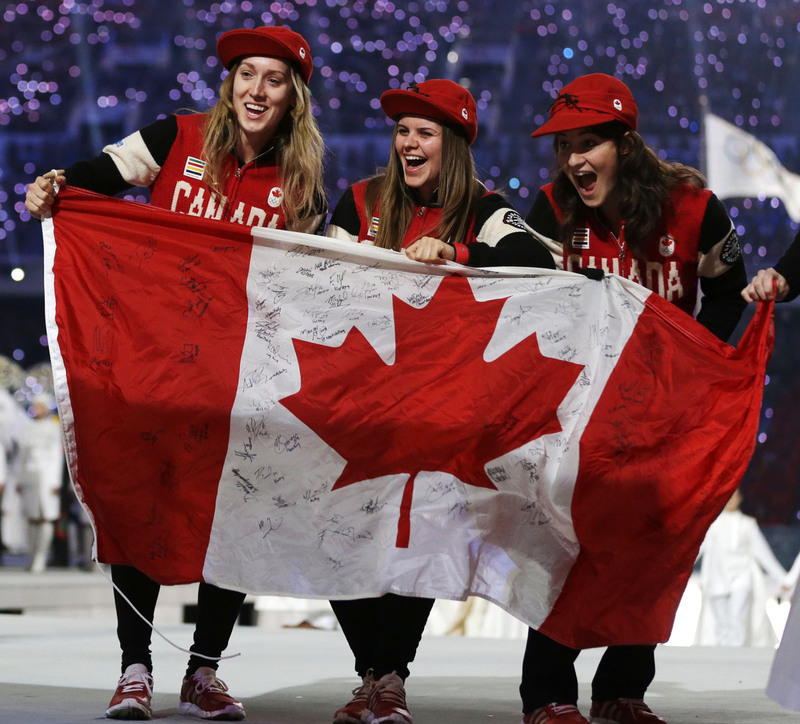 Canadian athletes hold up the national flag during the 2014 Winter Olympics in Sochi, Russia. Sen. Ted Cruz was born in Calgary, and some question his eligibility to run for president in the U.S.
Sen. Ted Cruz says because his mother was born in the United States that makes him a "natural-born citizen" and eligible to run for president. Barry Goldwater, the 1964 GOP nominee, was born in Arizona when it was a territory — not a state. And some questioned George Romney's eligibility to run in 1968, because he was born in Mexico. Romney's parents were U.S. residents. And most legal scholars agree. In fact, two of the best-known Supreme Court lawyers — who are not normally on the same side — make the case that Cruz, as were McCain, George Romney and Goldwater, is eligible to run. They say that because Cruz's mother was a U.S. citizen and his father was a U.S. resident, "Cruz has been a citizen from birth and is thus a 'natural born Citizen' within the meaning of the Constitution" and the "Naturalization Act of 1790." "The Framers, of course, would have been intimately familiar with these statutes and the way they used terms like 'natural born,' since the statutes were binding law in the colonies before the Revolutionary War. They were also well documented in Blackstone's Commentaries, a text widely circulated and read by the Framers and routinely invoked in interpreting the Constitution. "The actions and understandings of the First Congress are particularly persuasive because so many of the Framers of the Constitution were also members of the First Congress. That is particularly true in this instance, as eight of the eleven members of the committee that proposed the natural born eligibility requirement to the Convention served in the First Congress and none objected to a definition of 'natural born Citizen' that included persons born abroad to citizen parents."